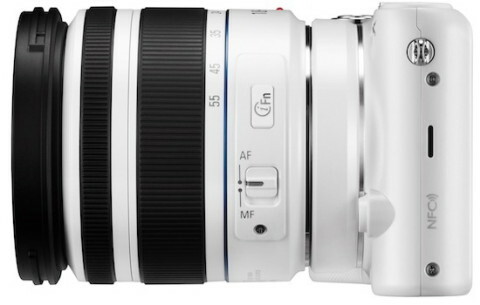 The Samsung NX2000 mirrorless digital camera is a mid-level body in Samsung’s NX lineup (sitting between the NX300 and the NX1100) that was designed for entry to mid level photographers. This slim and stylish compact camera comes with interchangeable NX mount lenses and the revolutionary Smart Technology, and offers professional results. 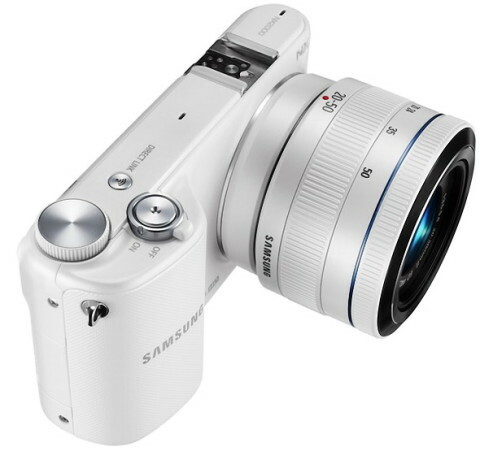 The Samsung NX2000 features a 20.3 MP APS-C-sized image sensor and DRIMe IV image processor. This combination enables high resolution, high quality still images, full HD 1080p video recording at 30 fps and produces notable low-light sensitivity to ISO 25600. Full HD video is recorded with stereo sound in MP4 format. The NX2000 also has a large 3.7″ 1152k-dot touchscreen LCD, that provides efficient, intuitive control and clear, bright viewing. The built-in wireless connectivity enables direct connection between NX2000 and other wireless-connected devices, such as Android or iOS mobile devices, PCs and HDTVs. 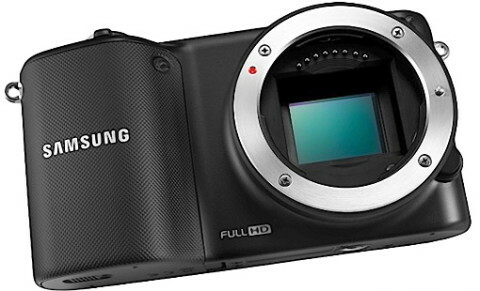 The Samsung SMART CAMERA App is available for iOS and Android devices and utilizes NFC (Near Field Communication) to provide faster and more secure connectivity. The Samsung NX2000 also features the SMART Mode, that automatically apply certain exposure characteristics to images in order to best render the type of subject matter being photographed. To further modify the appearance of images, additionaly Smart Filters are also available. 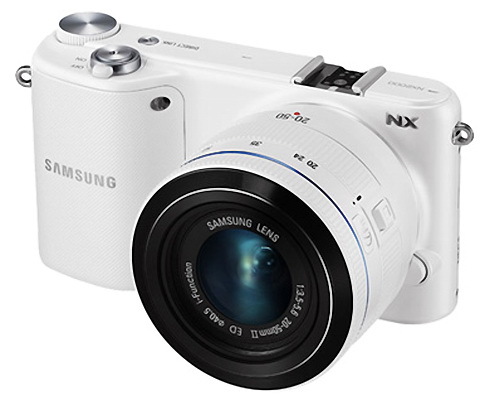 The Samsung NX2000 is available in pink, black or white. 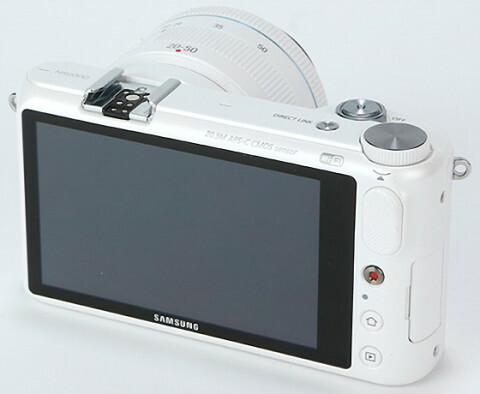 The Samsung NX2000 takes the NX-series in a more smartphone-like direction, with a much greater reliance on its Android-aping touchscreen interface than previous models. …the NX2000 is a very capable and intuitive device, with performance and quality that belies its modest price-tag. The Samsung NX2000 is a technological tour-de-force, and may well be a sign of things to come in the CSC market, but this is a camera for people who would otherwise buy a point-and-shoot compact. 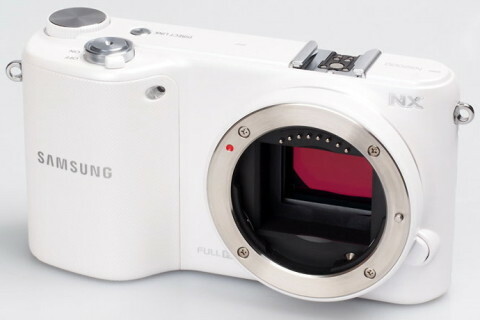 You can find also more details about Samsung NX2000 on trustedreviews.com website.